What does search analysis tell us about global perceptions of Asia’s key cities? While the flag-waving Chinese tour leader is still a common sight, many outbound Chinese are now traveling independently to increasingly far-flung locations. Cities, tourism boards and travel, retail and hospitality brands alike are aggressively wooing this new cohort. On May 17th, City Nation Place gathered delegates from across the Asian and Pacific regions to discuss the challenges facing place branding and place marketing in the region. The delegates represented a wide range of organisations, all at different stages of developing a place branding strategy; this report captures the in-depth discussions and debates that arose over the course of the conference. Clare Dewhirst founded the City Nation Place initiative in 2015 – City Nation Place has been established as an important global forum, bringing together those involved in understanding and managing nation and city brands around the world to share ideas, collaborate on projects and build an understanding of how a place brand can impact on economic development and investment promotion, tourism development, talent attraction and the wellbeing of citizens. The City Nation Place Global conference takes place in London every November and brings together 200 delegates from over 30 countries. 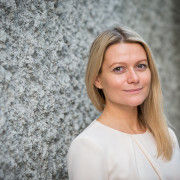 Clare brings over 20 years’ experience of launching and managing successful international events in the marketing, media and other business sectors to the City Nation Place project – including two years as head of international events for The New York Times. For the last 13 years, Mr. Torres has been advising countries in the field of strategy and branding, working directly with heads of state, directors of National Tourism Organizations and Investment Promotion Agencies, spread across five continents. Moreover,Mr. Torres collaborates with the OECD and the World Economic Forum in matters concerning nation branding. In 2011, his company initiated Bloom Consulting Country Brand Ranking. Most recently, Bloom Consulting together with Digital Demand – D2© an analytical Software released the Digital Country Index. The Index measures the appeal of 245 countries in the digital world. Hermawan Kartajaya is the founder of the Asia Marketing Federation, the President of the Asia Council for Small Business and President of International Council for Small Business-Chapter Indonesia. In 2003, he was named as one of the "50 Gurus Who Have Shaped the Future of Marketing" by CIM-UK. In 2009, he received the Distinguished Global Leadership Award from the Pan-Pacific Business Association. 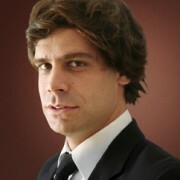 He is both a strategic business thinker and a marketing practitioner. He has written seven international books with Philip Kotler—the father of modern marketing. His latest books, Marketing 3.0 is widely acknowledged globally and is published in 27 languages and Marketing 4.0 is already published in 22 languages. 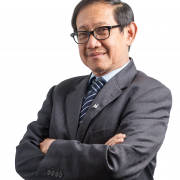 Hermawan is the Executive Chairman and Founder of MarkPlus Inc., a leading integrated marketing solution provider, which provides comprehensive Consulting, Research, Training and Media Services with branches in 18 cities in Indonesia. He received a honorary doctorate degree from ITS Surabaya. 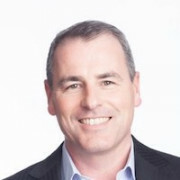 Alistair McEwan was appointed Director of Advertising Sales & Brand Partnerships, Australia & New Zealand (ANZ), for BBC Advertising, part of BBC Worldwide, in May 2014. Based in Sydney, Alistair managesa cross-platform media sales department, responsible for all advertising sales and brand partnershipsales within the region. In this role, Alistair oversees BBC Worldwide’s TV advertising sales in ANZ via the relationship with MCN, and BBC Worldwide’s joint venture with Bauer, Park Publishing, for the Top Gear magazine and website. Prior to this role, Alistair was VP for Advertising Sales ANZ, responsible for the management of BBC.com advertising and sponsorship sales and international advertising sales for BBC World News. Alistair joined BBC Advertising from multi-screen mobility specialist Modaliti, where he was Commercial and Strategy Director. Prior to that he was National Group Advertising Director at News Ltd and International Advertising Director at The New York Times. He has also held advertising posts around the world for the International Herald Tribune. Alistair’s key achievements include: leading News Ltd Newspaper Magazines Group to number one market leader in twelve months; conceiving and launching The Australian Hot 50 National Restaurant Awards 2012 across multiple channels; re-launching The Weekend Australian Magazine in August 2011, leading to YOY revenue growth of +45%’ and launching the ‘Global Edition’ of NYTimes.com in 2009 - achieving +35% digital advertising revenue growth. Rebecca is a business veteran with over 20 years experience in marketing across diverse sectors such as Diary, Banking, Telecomms, IT, Manufacturing and Tourism. Rebecca has led business growth, competitive repositioning, brand development and was a pioneer in digital and direct marketing in New Zealand. 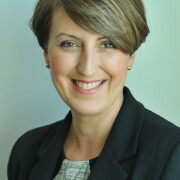 Having worked across sales, marketing, operations and manufacturing she brings a wealth of knowledge, real-life experiences and a practical perspective to her leadership of New Zealand's country reputation programme, the New Zealand Story. The New Zealand Story was established in 2013 to expand the reputation of New Zealand beyond natural beauty. Rebecca's team enable the success of businesses by providing them with the skills, tools and knowledge to each share a compelling story that sets them apart on the world stage. In addition, Rebecca works with Govt. agencies to craft and harmonise messages about New Zealand through diplomatic, trade, and public channels. Rebecca is passionate about enabling a sustainable and prosperous future for New Zealand and the world. Nancy Snow (Ph.D., International Relations) is a scholar, writer, professor and speaker on all things global persuasion and public diplomacy. She is Professor Emeritus of Communications at California State University, Fullerton. Since 2016 Snow has served as Pax Mundi Professor of Public Diplomacy at Kyoto University of Foreign Studies, the first and only public diplomacy professor in Japan. Dr. Snow advises La Ditta Limited and Langley Esquire in public and media affairs. Snow is Adjunct Professor in the Institute of Contemporary Asia Studies at Temple University Japan. She is a two-time Fulbright scholar (Germany, Japan), and a former Abe Fellow and Visiting Research Professor at Keio University. Snow’s Abe fellowship research led to the publication of Japan’s Information War in 2016, a book about the government of Japan’s efforts to expand its global outreach in a competitive nation branding region like Northeast Asia. Snow is the author and editor of 11 books, including the Routledge Handbook of Public Diplomacy(2009). Snow will publish a second edition of the Handbook with leading public diplomacy scholar Nicholas J. Cull, Director of the Master’s in Public Diplomacy at the University of Southern California. Snow has given nearly 500 media interviews on branding-related policies, including post-9/11 USA and post-3/11 Japan. Snow’s visiting professorships in public diplomacy include Tsinghua University in China, Sophia University in Japan, UiTM in Malaysia, and IDC-Herzliya in Israel, as well as the University of Southern California and Syracuse University. Since 2013, Snow has contributed articles on nation brand Japan to The Japan Times. Snow’s government service was as a Presidential Management Fellow at the United States Information Agency and Department of State in Washington, D.C., where she was responsible for overseeing cultural and academic exchanges like the Fulbright Program. 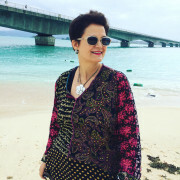 She has most recently lectured on nation branding at the American Chamber of Commerce Japan, Seoul National University, Ewha Womans University, and the American Chamber of Commerce in Okinawa. Named a Top Agency Leader in both the Netherlands and China, Jacco ter Schegget was appointed CEO of J. Walter Thompson Group SEA in September 2017, overseeing JWT & Mirum’s combined operations. Previously President of Ogilvy One China (Customer Engagement), as an integral part of Ogilvy Group’s China Executive Committee, he oversaw the territory’s strategic direction, growth and business development. 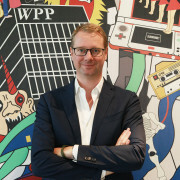 Before venturing East, Jacco spent a successful seven years with DDB & Tribal as European President, Tribal Worldwide, co-CEO of DDB & Tribal Amsterdam and as Digital Officer, DDB Group, Europe. Under Jacco’s leadership, DDB & Tribal Amsterdam was named Agency of the Year by both ADCN and the Dutch Advertisers’ Association. Tribal DDB Amsterdam was among Europe’s most-awardeddigital agencies, and first to win a Cannes Film Grand Prix. Aged just 30, Jacco took the helm of Satama Amsterdam, resurrecting it from a state of technical bankruptcy to the Netherlands’ Leading Digital Agency Network, comprising: Satama (Service Design), OER (Digital Advertising), & Flash Fabriek (Technical Development). Jacco’s 19 years of agency expertise show a proven track record of digital transformation and turnaround management. He helps agencies and companies adapt to a rapidly changing world, by transforming their marketing and business strategy. With a degree in International Business from Grenoble Graduate School of Business, Vilma has spent the last decade developing creative industries across New York, Chicago, London and Dubai. She joined Alserkal Avenue in 2011 and in her time with the organisation, she has been instrumental in its evolution and responsible for overseeing the Avenue’s physical expansion in 2015 as well as the inauguration of Concrete in 2017. Vilma also launched Alserkal Programming in 2015, and Alserkal Residency in 2017, affirming the organisation’s commitment to the development of arts and culture in the region. She has been a vocal supporter of growing a creative economy, and a strong advocate for its importance in social development and identity within the MENASA region. Vilma serves on the advisory boards of the Global Cultural Districts Network and the Jean-Paul Najar Foundation. Vilma is currently pursuing an Executive MSc in Sustainable Urban Development at the University of Oxford, UK. 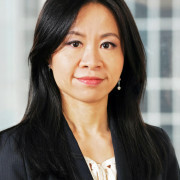 Edith Wong is the Chief Marketing Officer at Invest Hong Kong (InvestHK), the government department responsible for attracting and facilitating foreign direct investment into Hong Kong. She joined InvestHK in 2005 and her division oversees InvestHK’s marketing and public relations strategies as well as IT. Prior to joining InvestHK, Edith worked with the Airport Authority Hong Kong and Hong Kong Productivity Council. Edith has a bachelor of arts and master’s degree in English from the Chinese University of Hong Kong, a bachelor of laws and an MBA in international business from the University of London. EON Chair and Chief Executive Junie del Mundo believes that communication is the most valuable gateway to building trust--a belief he holds with such fervor that it became the cornerstone of a venture he founded with two of his closest friends almost two decades ago. From its pioneering roots as a stakeholder relations firm, The EON Group has expanded into an integrated communications company committed to the vision of truth-telling as an instrument for meaningful and lasting change, blazing trails in public relations (EON PR), reputation management and public affairs (ENGAGE), creative technology (DiG), and experiential marketing (TANGERINE). Recognized as one of the world's most influential people in public relations by PRWeek in its annual Global Power Book since 2014, Junie continues to participate in industry associations and foreign chambers where he drives conversations that help shape national policy and public opinion, particularly on country branding and ASEAN Integration.